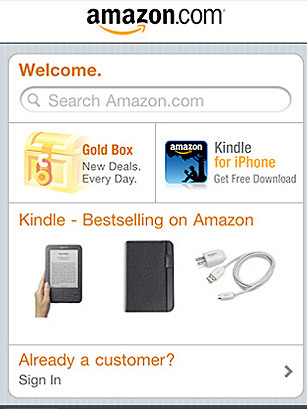 The perfect shopping companion, Amazon's iPhone app lets users connect to their Amazon account with the tap of a finger. Fill your shopping cart or track the status of recently placed orders, or search the full selection of products available from Amazon.com. The app also lets you scan any barcode to search for comparison prices, or snap photos of a product (like those to-die-for shoes worn by the woman next to you) and quickly find it on the web. See the 50 best websites of 2010.